After being convicted of a crime and serving the terms of the sentence most adults assume that their lives will continue on much as before. In reality, once a crime becomes a matter of public record it has the potential to follow you for the rest of your life. Regardless of how far you rise, one indiscretion has the potential to drag you down completely. 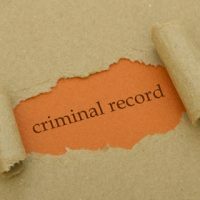 If you have been charged with a crime, consider exploring the benefits of record sealing and expungement. Getting a new job after being charged with a crime is often a difficult process, especially if you have spent time incarcerated. Employers often complete background checks on new applicants as part of the hiring process and the discovery of a criminal record could destroy your chances. Given the choice between an applicant with no negative information available on public records and an applicant with a criminal history, most employers will choose the applicant without a criminal record. Having your record expunged or sealed will allow you to pursue employment without fear. Once a person has a criminal record, obtaining housing may become difficult. Most property management companies run background checks on prospective tenants along with credit checks. Potential renters with questionable backgrounds may be passed over in favor of applicants with a clean criminal background. Instead of moving into the neighborhood of first choice, a criminal record may force a person to move into a less desirable area. Investing in record sealing or expungement services can decrease the chances of having a rental application denied because of a criminal background. Pursuing a higher education is one way to improve employment opportunities and increase your overall standard of living. The average undergraduate degree in the United States costs approximately $22,261.00. Most people cannot afford to pay their tuition without assistance in the form of financial aid. Individuals with certain types of criminal records are unable to receive financial assistance from the government or in the form of certain scholarships. If you or someone know has been charged with a crime and needs assistance, an experienced criminal defense attorney may be able to help. Individuals who have never expunged a record before, did not enter a plea of guilty to an offense that Florida does not allow to be sealed or expunged, have never previously been found guilty of a criminal offense, or who are not under any type of court ordered supervision, could potentially qualify for record sealing or expungement. The Clearwater, Florida attorneys at Roman & Roman are able to go over your case history and determine if you are eligible to have your record either sealed or expunged. Contact the office today at 877-767-1032 to schedule your free consultation.